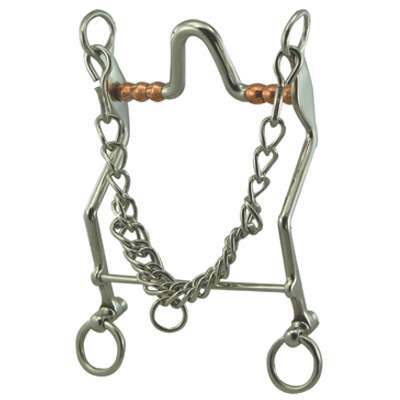 This specific High Port Paso Fino Bit with Copper Rollers happens to be one of our best sellers. It is not just made of impeccable craftsmanship but we also offer them at an affordable price to help you save. These Paso Fino Bits are made of top quality materials and measures 4 3/4'' in size. When buying from us you can rest assured you are getting a durable product at competitive pricing.